Ah, the great outdoors — there is just nothing better than a hike for sharing with your kids tall trees, wildlife and lots and lots of other people. 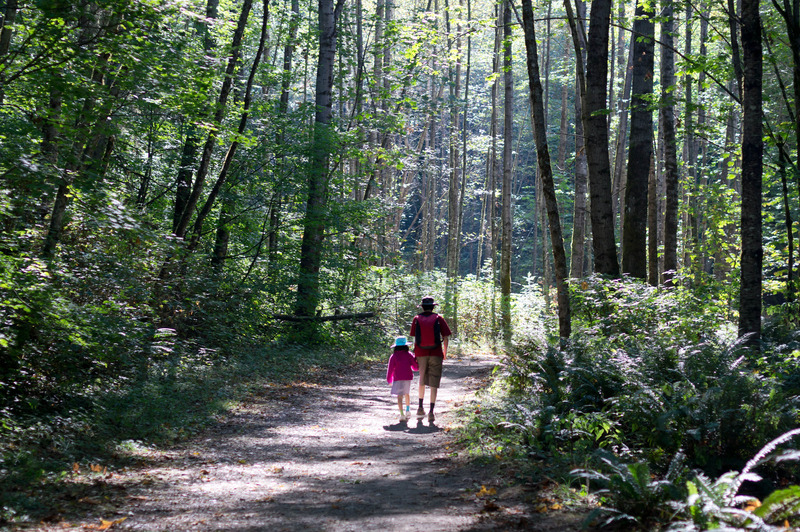 Yes, many of the Seattle area’s best family hikes are so popular that the trail can seem like a thoroughfare. 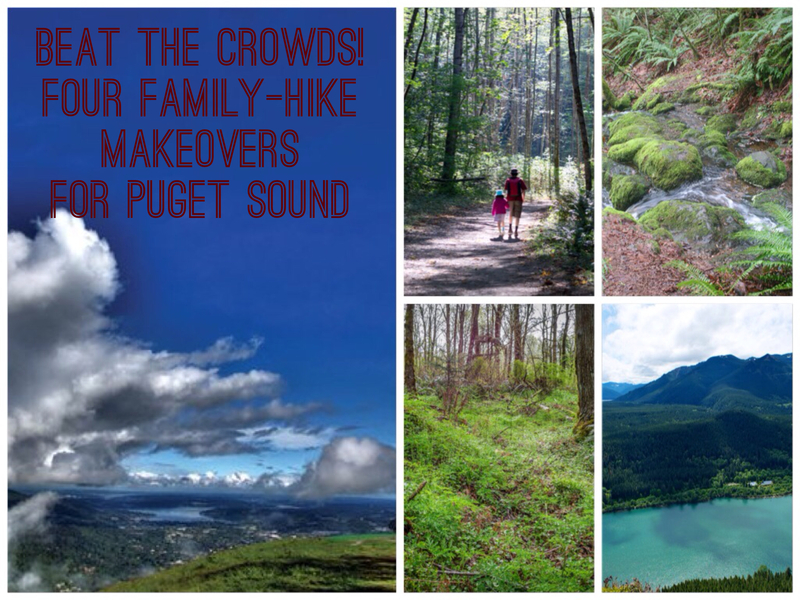 Of course, beloved hikes are popular for a reason, and many Seattle-area families would say it’s worth getting up early to score a parking space at the trailhead. Here, we’ve highlighted four popular hikes worth doing, and four lesser-known options to consider if you like your wilderness with a little more elbow room. Most of these hikes are suitable for even young children and we always recommend carrying The Ten Essentials. It’s a good habit to get into as you extend your adventures. In the North Bend area, Rattlesnake Ledge and nearby Mt. Si and Little Si are some of the most popular hiking destinations in the state. 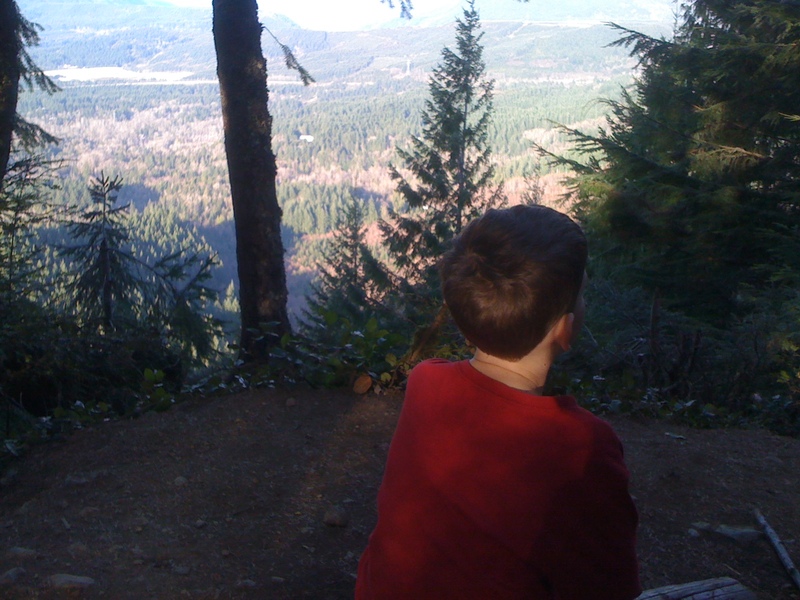 Rattlesnake Ledge is a nearly vertical climb that can be downright nerve wracking with children. Nonetheless, on a weekend afternoon, you’ll find plenty of families climbing to the top, drawn by its convenient location and the breathtaking, panoramic view when you reach the ledge. Families who don’t want to go up can enjoy play at the lake or walk to the Cedar River Watershed Educational Center. Length: It’s just less than two miles to the ledge. Best for: We first did this hike with our older son in a backpack, but we think it’s best for sure-footed, school-age or older children who can follow directions well. Do use caution at the top. The Cedar River Watershed Education Center is an excellent side trip or a fine option if you want to walk and explore with younger children. Finding it: From Seattle, drive east on I-90 to Exit 32 for 436th Ave. S.E. Turn right onto 436th Ave. S.E. or Cedar Falls Road S.E. and continue to the parking lot on the right. If you’re arriving after early morning on a weekend, you’ll see cars on the side of the road for miles, and you’ll likely need to join them. Just across from Rattlesnake Ledge, you'll find the parking lot to Iron Horse State Park. This lot can get busy as well, but once you park, Iron Horse can be your starting point for any number of much less-crowded walks and hikes. 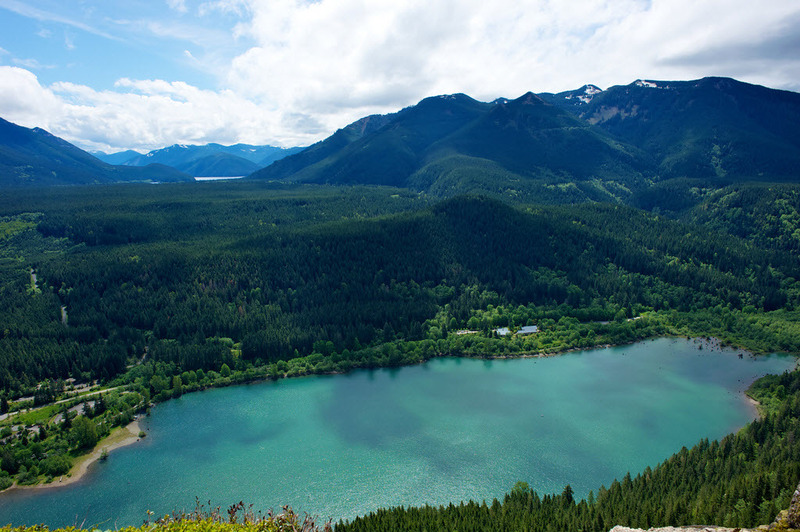 Try the Cedar Butte trail, a gentle climb through forest, and while it offers just a peek-a-boo of Rattlesnake Lake, the view from its summit isn’t too shabby. Length: From the trailhead, it’s just under two miles each way. Best for: There are some limbs to navigate over, and it does gain some elevation. Most children preschool age and up should do fine on this one. But though ther are fewer drop-offs than Rattlesnake Ledge, use caution here as well. Finding it: Follow directions for Rattlesnake Ledge above, but park in the Iron Horse State Park lot if spaces are available. You will need a Discover Pass for this lot. From the parking lot, follow signs to the Palouse to Cascades State Park Trail (renamed from John Wayne Pioneer Trail/Iron Horse State Park). This first section of the trail is wide and easy enough for strollers and the very youngest of hikers. You’ll cross a bridge over Boxley Creek. Shortly after, look in the forest to your right for the sign to Cedar Butte Trail. From here you’ll climb through pleasant, shaded forest towards the top. The Washington Trails Association has excellent directions. 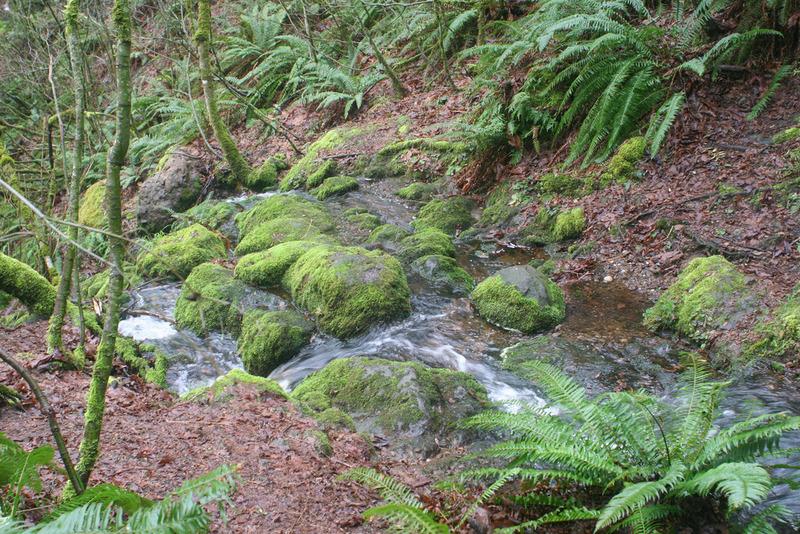 Cougar Mountain, in the Issaquah Alps, has an expansive system of hiking trails. We love the historical trails with old mining artifacts, and the ease with which you can combine trails to make longer outings. It’s a great destination for younger hikers, too. The only thing not to like: Come on a weekend, and the rows of cars might have you thinking you’re at a rock concert or state fair. You’ll have plenty of company on most of the popular trails, too. Consider a morning start, or make this a weekday adventure. Take the Rainbow Town Trail and find old mining equipment and a sealed mine shaft. Kids will also love the waterfall on the easy, two-mile round-trip Coal Creek Falls Trail. Length: There is a network of trails of all lengths here. You can easily do a short outing or combine several for a lengthier adventure. Best for: Hikers of every age can find a trail to love here. Finding it: Leaving I-90, Take Exit 13. Go right at the stop sign, follow Lakemont Boulevard S.E., and turn into the parking lot for the Red Town Trailhead/Cougar Mountain. There are maps at the kiosk. Do take one, since the paths can be maze-like, especially for first timers. Find directions and information for the Coal Creek Falls traihead (and more) on WTA's website. The only tricky part of this hike is its name, which is easily confused with the Coal Creek Falls hike across the street at Cougar Mountain. Yes, the Coal Creek Trail shares parking with Cougar Mountain, and yes, it’s a popular outing in its own right. However, we’ve found the crowds here much thinner than those across the road, and if you go beyond the first mile you may find yourself almost alone. It’s also possible to start from a neighborhood trailhead (Lakemont), where we were able to find a parking space even on a busy weekend. Length: If you go from trailhead to trailhead this is a hike of about six miles round-trip. The section that begins at the Lakemont trailhead is much quieter. If you want a shorter hike, begin at the trailhead across the street from Cougar Mountain, and go just to the waterfall, or as far as you wish. Best for: All ages can enjoy this relatively flat, easy hike. Finding it: Leaving I-90, Take Exit 13. Go right at the stop sign, follow Lakemont Boulevard S.E., and turn into the parking lot for the Red Town Trailhead/Cougar Mountain. The beginning of the Coal Creek Trail is right across the street. Use caution when crossing this busy road. Begin your walk next to a meadow, where you can see all that remains of what was a prosperous hotel during the heyday of the area’s once booming coal industry. Shortly after the meadow, you’ll come to a sealed mine shaft. Take the short interpretive trail just to the left of it and look for timbers from the old railroad bed in the creek. The falls are just after, and there are some benches for you to enjoy the view. Alternatively, begin your walk at the Lakemont trailhead by taking the Coal Creek Parkway Exit from I-405 and continuing south. Turn right on SE 60th St. and head up the hill. You will see a small, gravel parking lot on your right. This is in a quiet neighborhood, and it’s easy to miss. You’ll descend through pleasant forest along a creek before coming to the section described above. Best for: This is an excellent, all-ages outing, and it is nice most seasons of the year. On chilly days the wind coming off the water can be cold, and the boardwalk can get slick. 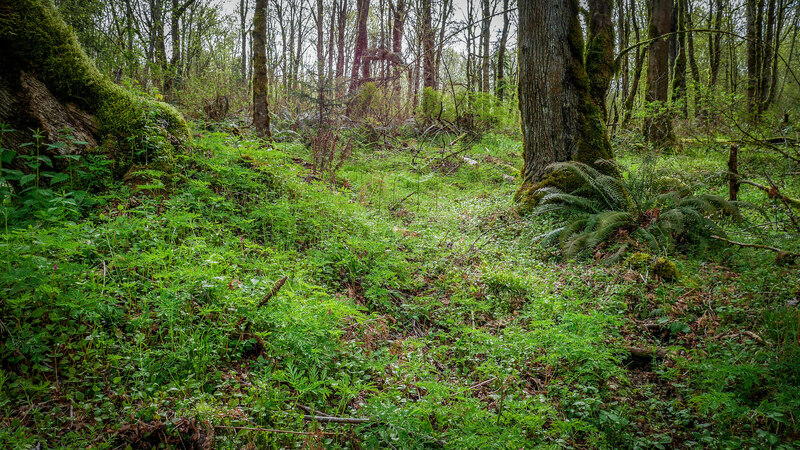 Finding it: The refuge is about eight miles outside of Olympia. From I-5 south take exit 114. Make a right at the traffic light, go under the freeway and follow signs to the refuge. Entry is $3 for four adults. 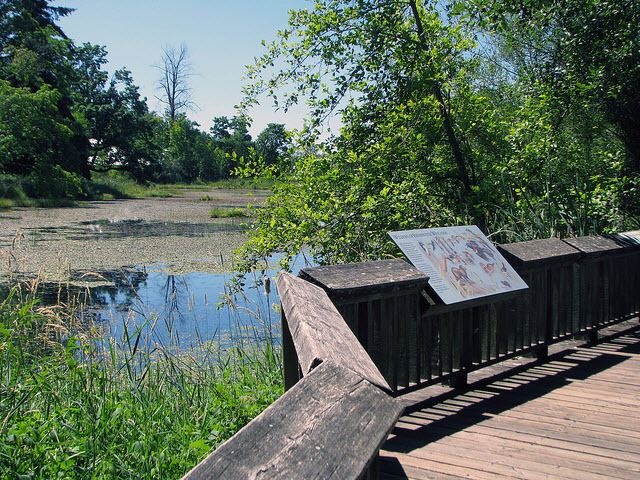 Woodard Bay, a wildlife-rich conservation area near Olympia, includes miles of shoreline, wetlands and forests. The bay was the site of a former log dump, and interpretive signage explains the importance of the area, from its beginning as a place where native tribes gathered shellfish to its role in the logging industry. Today, it’s primarily home to herons, seals and bats. The first part of the main trail is paved, and the remainder is gravel. All of it would be suitable for a sturdy stroller. You can head straight for the water, or take a loop trail of about a mile in the forest to your left. It’s flat, though there are some stairs and large roots. .
Best for: Fine for all ages. My boys loved looking at the giant, moss-covered trees on the forest walk and exploring the beach. This spot is just five minutes from Burfoot Park, a beachfront spot worth a visit if you have time. Finding it: From I-5 southbound take Exit 109 towards Sleater-Kinney Road. Make a right at the light at the bottom of the exit. Just pass the Safeway, make a right at the light at Sleater-Kinnery Road N.E. The name of the road will change to 56th Avenue N.E. Continue straight until you reach a T, where you will want to turn right onto Shincke Road N.E. Turn to the left as the road becomes Woodard Bay N.E. Cross a bridge and look for parking on your right. There is a newly installed concrete wall. Note that you will see a parking lot for the Chehalis West trail shortly before you find the lot for Woodard Bay. You will need a Discover Pass to park. Like Cougar Mountain, Tiger Mountain has too many trails to count, including many that are great for kids, with big trees and fanciful names. It’s also a popular spot, and its lots are often chock-full by mid-morning. Many of the folks here are headed up, though, and you and your kiddos will likely have less company on one of the many kid-friendly rambles. The two-mile Bus Trail is wheelchair accessible, and kids will love finding the remains of the namesake old bus. Big Tree Trail and Swamp Trail are two other good options. Best for: All ages can find a walk to love here. Finding it: Tiger Mountain is just outside of Issaquah. From I-90 take Exit 20. Turn right at the exit, then make a quick right again. You’ll be parallel to the freeway. Pass through a gate and continue on to the main parking area at the Tradition Plateau Trailhead. You will need a Discover Pass to park here. Note that the gate is closed and locked by 7 p.m.
Jennifer Johnson of the local blog, Hiker Mama, recommends this park — located in a quiet Sammamish neighborhood — as an alternative to busy Tiger Mountain, saying that the walk through the mixed forest seems almost identical. Soaring Eagle sees neighborhood visitors, but doesn’t seem to have been discovered by other families yet, despite its easy location. Jennifer and her clan didn’t see any other families on their recent visit. The trails in the park are also flatter — up and down as opposed to straight up — which will be easier for beginning hikers. Kids wil love the mud puddles, logs to climb on, bridges and winding trails. Best for: All ages can handle this easy walk. You’re likely to encounter bikers and horseback riders. Finding it: The park is in Sammamish at 26015 East Main Drive. The main entry is on the west side via 228th Avenue S.E. and S.E. Eighth Street. Directions to alternate entrances and a trail map are available at the King County website.